Venera 4, also designated 1V (V-67) s/n 310 was a probe in the Soviet Venera program for the exploration of Venus. 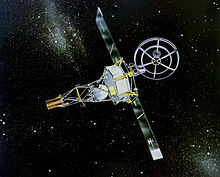 The probe comprised an entry probe, designed to enter the Venus atmosphere and parachute to the surface, and a carrier/flyby spacecraft, which carried the entry probe to Venus and served as a communications relay for the entry probe. 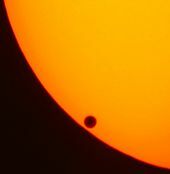 Venus is a planet with striking geology. 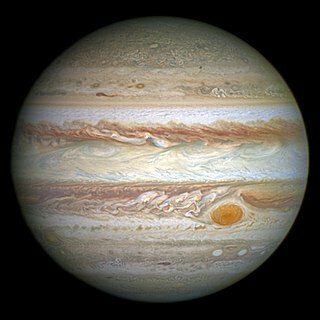 Of all the other planets in the Solar System, it is the one nearest to Earth and most like it in terms of mass, but has no magnetic field or recognizable plate tectonic system. Much of the ground surface is exposed volcanic bedrock, some with thin and patchy layers of soil covering, in marked contrast with Earth, the Moon, and Mars. 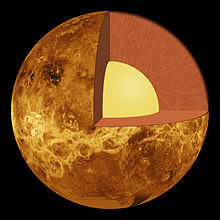 Some impact craters are present, but Venus is similar to Earth in that there are much fewer craters than on the other rocky planets that are largely covered by them. 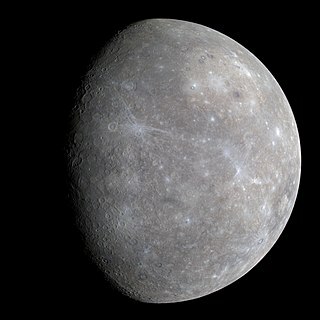 This is due in part to the thickness of the Venusian atmosphere disrupting small impactors before they strike the ground, but the paucity of large craters may be due to volcanic re-surfacing, possibly of a catastrophic nature. 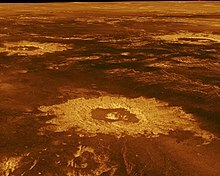 Volcanism appears to be the dominant agent of geological change on Venus. 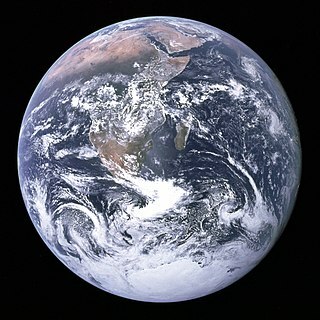 Some of the volcanic landforms appear to be unique to the planet. 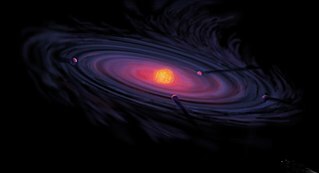 There are shield and composite volcanoes similar to those found on Earth. 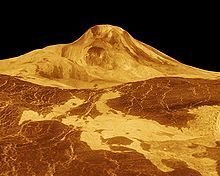 Given that Venus has approximately the same size, density, and composition as Earth, it is plausible that volcanism may be continuing on the planet today, although convincing direct observations of a volcanic eruption have not yet occurred, leaving modern volcanism an open question. 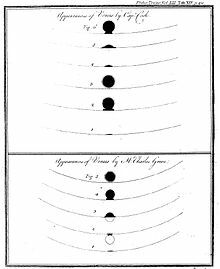 Observations of the planet Venus include those in antiquity, telescopic observations, and from visiting spacecraft. 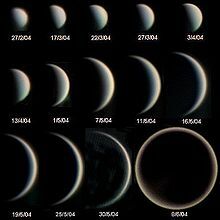 Spacecraft have performed various flybys, orbits, and landings on Venus, including balloon probes that floated in the atmosphere of Venus. 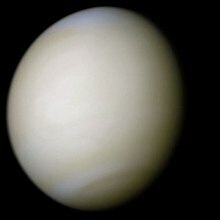 Study of the planet is aided by its relatively close proximity to the Earth, compared to other planets, but the surface of Venus is obscured by an atmosphere opaque to visible light. the addition of breathable oxygen to the atmosphere. The atmosphere of Venus is the layer of gases surrounding Venus. It is composed primarily of carbon dioxide and is much denser and hotter than that of Earth. The temperature at the surface is 740 K, and the pressure is 93 bar (9.3 MPa), roughly the pressure found 900 m (3,000 ft) underwater on Earth. 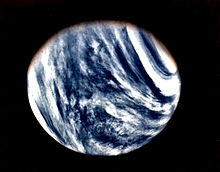 The Venusian atmosphere supports opaque clouds made of sulfuric acid, making optical Earth-based and orbital observation of the surface impossible. Information about the topography has been obtained exclusively by radar imaging. Aside from carbon dioxide, the other main component is nitrogen. Other chemical compounds are present only in trace amounts. 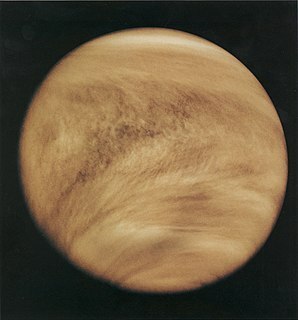 The speculation of life currently existing on Venus decreased significantly since the early 1960s, when spacecraft began studying Venus and it became clear that the conditions on Venus are extreme compared to those on Earth. 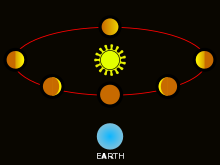 An Earth analog is a planet or moon with environmental conditions similar to those found on Earth. 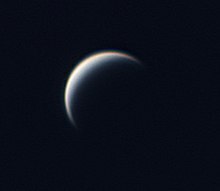 Venus snow is a brightening of the radar reflection from the surface of Venus at high elevations. The "snow" appears to be a mineral condensate of lead sulfide and bismuth sulfide precipitated from the atmosphere at altitudes above 2,600 m (8,500 ft).